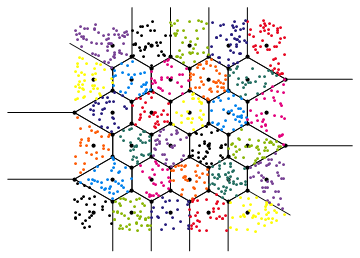 How would you sort a cloud of points with respect to an unstructured mesh of hexahedral cells? 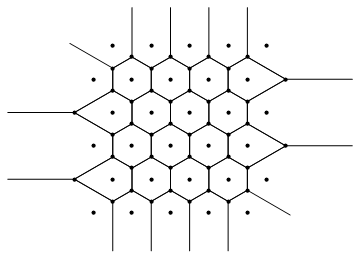 Each cell has a centre and a unique label to represent it. There are two cloud points basically (original point cloud, and a point cloud of the cell centres), but the cell geometry information (bounding box) may be of use, I am not sure. 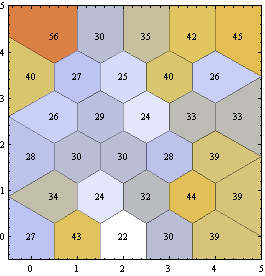 if the mesh is hexahedral and unstructured, the problem is reduced to an orthogonal range search. For this purpose, k-d trees are most often used. If the mesh is refined based on an octree data structure, the range search algorithm can be built around it. The goal is to avoid dealing with the direct mesh geometry and concentrate on point cloud A - point cloud relationship B. Point cloud A: query points, point cloud B: mesh cell centres. Important note: This answer does not answer the actual question, but it was left undeleted per request. Embarrassingly I confused hexahedral and hexagonal. The question is about sorting points into arbitrary hexahedral cells in 3D while this solution sorts points into regular hexagonal cells in 2D, or irregular ones that correspond to some Voronoi tesselation in any dimension. This method is applicable only if the mesh was generated as a Voronoi tesselation in the first place (which does seem to be an occasionally used approach). I am not sure what you mean by sort here, but I assume you want to sort the point into hexagonal bins on the plane. Mathematica is what I know, so I am going to show you how to do it in Mathematica, but the method can be ported to other systems. 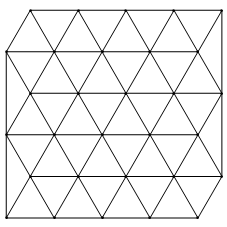 The idea is that a hexagonal lattice is the dual of a triangular one: it can be generated as the Voronoi diagram of a points in triangular arrangement. A point from the cloud belongs to a given hexagon if it is closer to the centre of that hexagon than to the centre of any other hexagon. ... or do any sort of fancy visualization we want. The key point here was the function that finds the closest point to something (Nearest). Mathematica has this built in, but there's a chance your system doesn't. If this is the case, please see this question on how to efficiently implement such a function (or just go with the naive linear time implementation if you don't have a huge amount of points to process). Not the answer you're looking for? 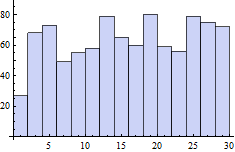 Browse other questions tagged algorithms computational-geometry or ask your own question. Faster methods for projecting a mesh onto a hierachally unrelated mesh? How to treat hexahedral element with shifted hanging node?